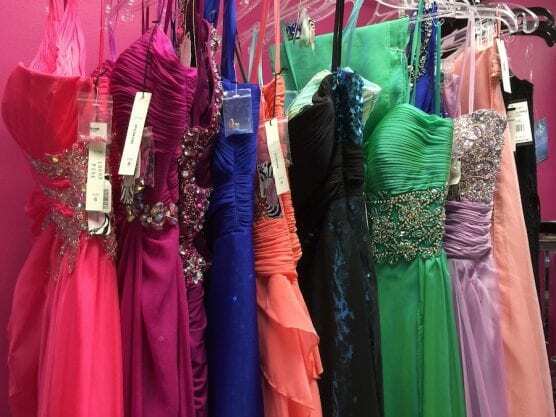 Flair Cleaners Valencia will host the Flair Cares Prom Dress Collection April 1 – April 30 to benefit Becca’s Closet, a nonprofit providing formal attire for local high school youth who cannot afford new dresses. Customers and community members may donate gently worn long and short formal dresses and accessories at 27011 McBean Parkway, Valencia, CA 91355 – at Magic Mountain Parkway. Flair Cleaners will dry clean each item before giving it to the nonprofit. Becca’s Closet was founded by a high school student in Florida in order to provide prom dress-es and accessories to high school girls who could not afford to purchase them. She believed that no one should miss a high school event because they couldn’t afford to be there. In the spring of her sophomore year, Becca singlehandedly collected and donated over 250 formal dresses and helped hundreds of girls across South Florida attend their High School proms in style.Today, countless dedicated people throughout the United States have joined forces to col-lect and distribute dresses to high school girls with financial need and to provide opportunities for those who seek them. With a reputation built on innovation and customer service, Flair Cleaners has been your South-ern California dry cleaner for more than 60 years. And, while times and fashion may have changed, one thing has not: Flair’s commitment to help customers look their best. Flair’s com-mitment to impeccable quality and customer service began when the Futterman and Singer families first opened a dry cleaning business in Chicago in 1958. Their tradition of excellence continued when the families’ first Southern California cleaners opened in 1963. Today, Flair Cleaners has locations throughout Southern California. Flair was one of the first cleaners in Southern California to adopt the GreenEarth dry cleaning process, the industry’s premier all-natural cleaning method. Its state-of-the-art, highly efficient equipment conserves resources and safely cleans garments and household items. For more information on Flair Cleaners, its community service or its green environmental practices and awards, visit FlairCleaners.com, or like us on Facebook at Facebook.com/FlairDryCleaners.